Specialty organic raw juices and smoothies made just for you. Choose from a variety of organic options to receive the best nutrients and taste to satisfy your body and taste buds. We also offer organic healthy convenience foods that taste delicious. If you have a specific ailment that you need help with please let us know. We will help you choose a juice or smoothie to help you improve your health. Ingredients used are organic and local when in season. We use reverse osmosis filtered water and ice in the smoothies, we do not use animal milk or yogurt. The plant protein powders are raw, gluten free, soy free, dairy free, non-gmo. Take out cups and straws are made from non-gmo corn and are compostable or made from post-consumer recycled plastic. We do our best to have minimal waste so we encourage you to bring you own cup. 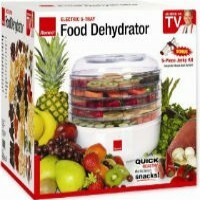 *Don't worry, the leftover pulp from the fruits and vegetables is not wasted. We use it in our recipes and it is utilized in making compost. We also offer various healthy convenience foods prepared by Intellectual Nutrition. Some of our favorite selections are Spiced Merchant Cauliflower Coucous, Kale + Mint Salad, Fall Inspired Apple Granola and Sweet Pea Guacamole with Veggies + Pita. 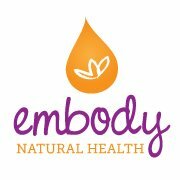 You can visit their website for the most up to date menu and ordering or visit Embody to see what Intellectual Nutrition has prepared for our grab + go cooler. Let us know what you think about this awesome vegan friendly restaurant: Embody Juice Cafe + Studio in Wexford, Pennsylvania.